You wake up bright and early. You barely slept because you laid awake thinking about all the things you didn't get done. Getting ready for work and chasing a little one down to get them dressed, you see the final notice from the utility company on the table. The daycare bill is due the same day. You had to get your car fixed so you could drive to work and now you are coming up short. Paying the electric bill means daycare doesn't get paid and missed work because you don't have a sitter. Paying daycare means you can go to work to make money but you might not have power when you get home. Doing math in your head, trying to pull money out of nowhere, wrangling a toddler to run out the door, and you look down to see you only have a few diapers left. Your heart sinks. You feel like an awful mom. You're ready to break, but you see your child smiling. You put on a brave face for them. You are trying to be strong, but you have no idea what you are going to do. 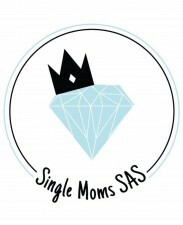 We are Single Moms SAS. Founded January 2018, with a mission is to empower and inspire single moms throughout America through various programs promoting Survival, Advocacy, and Support. Sadly, what you read above is a common struggle amongst single moms. As an organization, we recently conducted an independent study, surveying over 1400 single moms across the country. 43% reported an annual income of less than $20k. Of those surveyed, a staggering 58% do not receive child support. According to the USDA, Expenditures on Children by Families, single moms often spend half of their income on housing expenses and a third on childcare. While some are able to receive assistance, many are just above the threshold and do not qualify. The National Low Income Housing Coalition's analysis has shown a median wait time of 1.5 years for housing assistance. However, a percentage of Public Housing Authorities have wait times from 3 years to an astonishing 7 year period. The financial barriers faced, along with a lack of emotional and mental support cause undue stress, not only to single mothers but their children as well. Our goal as an organization is to support these needs while ensuring continued development out of the poverty line, which also helps to ensure their children are less likely to be susceptible to poverty themselves as adults. We have created three core programs as part of that goal. By contributing to our cause, you too are playing a role in improving the lives of others. The programs we will be focusing on for now are our Diaper and Formula Fund, Childcare Assistance, and Utility Assistance. Fortunately, we have been able to implement our Diaper and Formula Fund. Throughout this year, we have had the opportunity to help several single moms across the country in emergency need of diapers or formula. We look forward to being able to offer our assistance programs as well. They will offer much more than monetary aid. Included in the program are financial literacy resources and tools to guide them towards financial stability. Our programs will offer relief, reduce stress, boost confidence, and allow single moms to focus on what matters most. In addition to our programs, a portion of our proceeds will go towards the submission of our 501(c)3 application. Achieving tax exempt status will afford us the opportunity to provide support to many more in need. Thank you for taking the time to learn about Single Moms SAS. Feel free to share and help spread our message.